Have not been feeling well these few weeks, so no matter how bad I want to post and pour my heart out, resting, going for tests and therapy takes precedence over everything else . 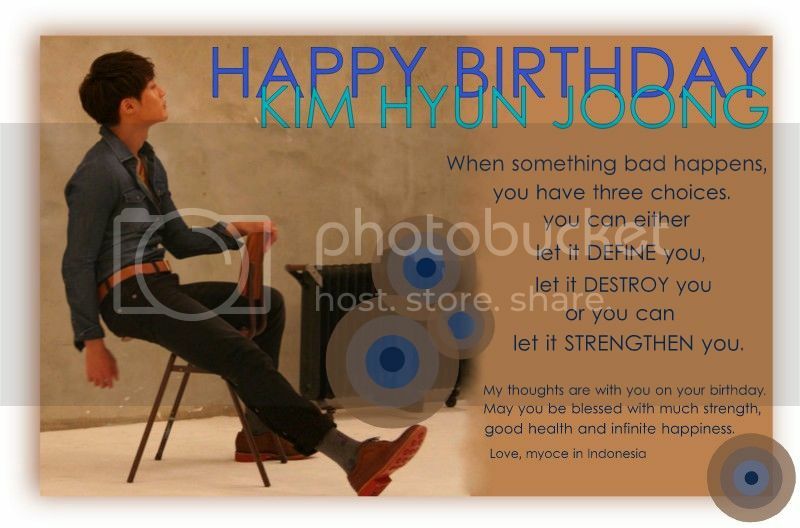 . . hence my late Bday Wish for Hyun Joong. Belated happy birthday, Leade! I'm sorry I wasn't able to attend the gathering organized by Triple S Philippines as a celebration of your birthday because it is also the 30th anniversary celebration of our company. Criselda...never to late to greet KHJ....UR Job comes first !